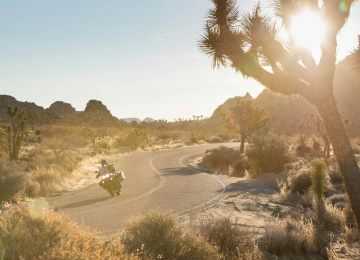 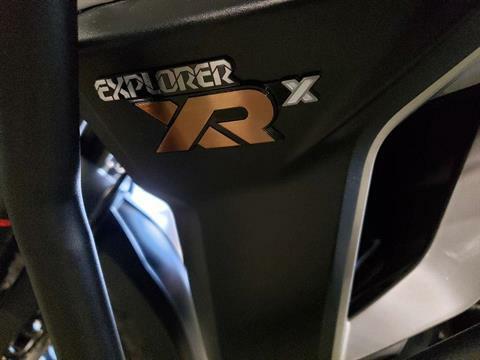 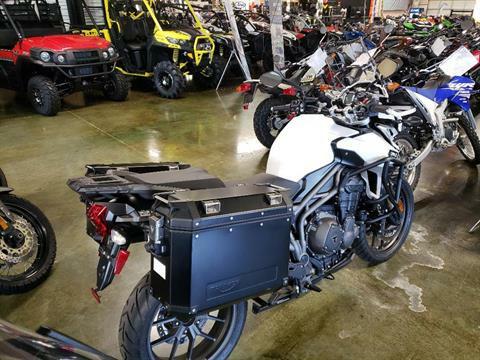 The all-­new Tiger Explorer XRx packs immense power and linear torque from its signature 1,215 cc triple engine and is optimized for road riding with cast wheels, ABS, traction control, and Brembo monobloc four-­piston radial calipers at the front, and a single 282 mm disc, two-­piston sliding caliper at the rear. 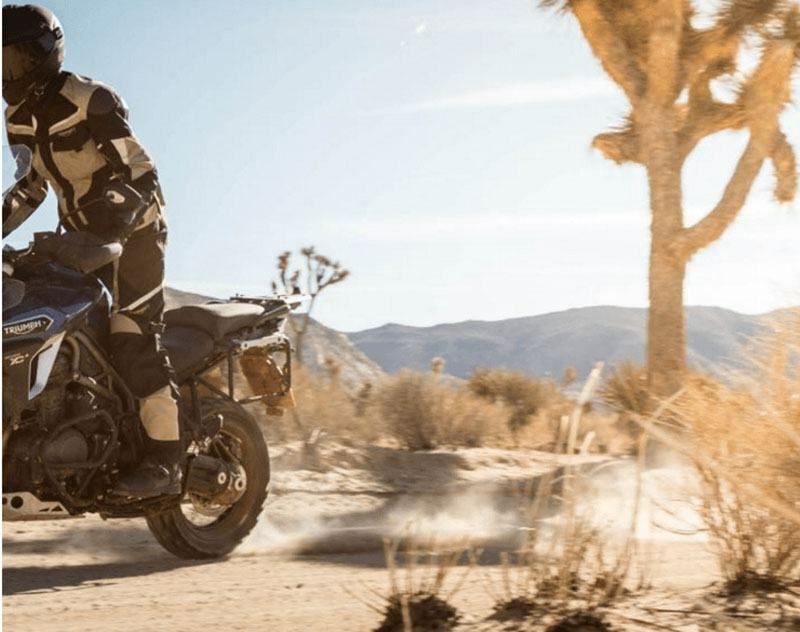 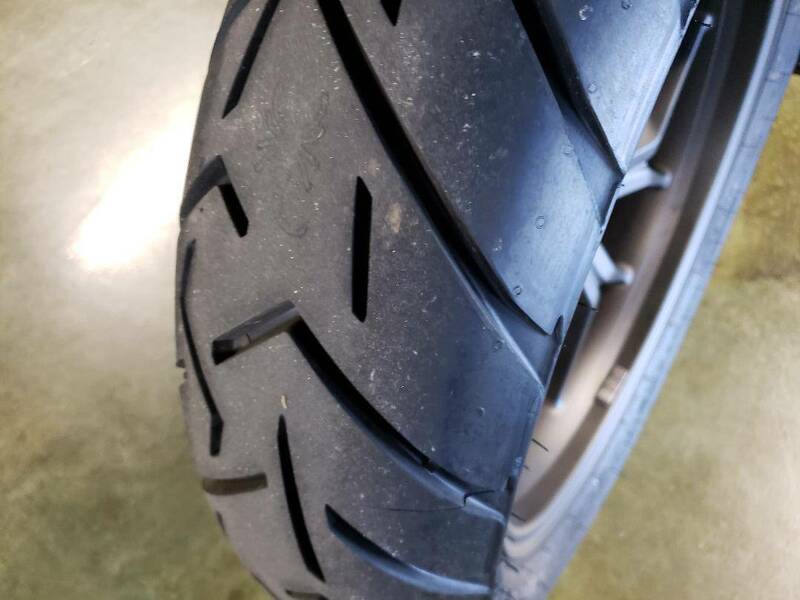 The XRx also incorporates Triumph's electronically controlled Semi-Active Suspension system (TSAS) continuously adjusts the suspension settings as you ride, delivering the best control, comfort and riding experience on any surface. 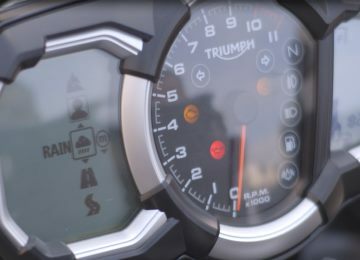 Three new selectable Rider Modes; Road, Rain, and Off-Road, incorporate different setting for ABS, traction control and throttle maps, each optimized to suit the selected mode for maximum control, comfort and rider engagement. 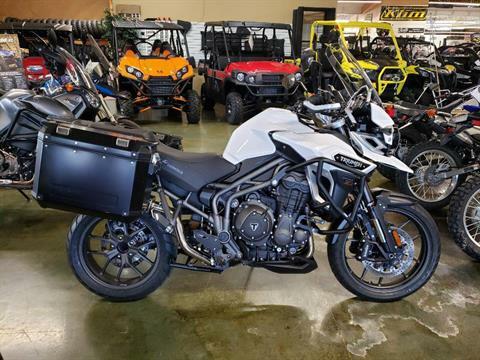 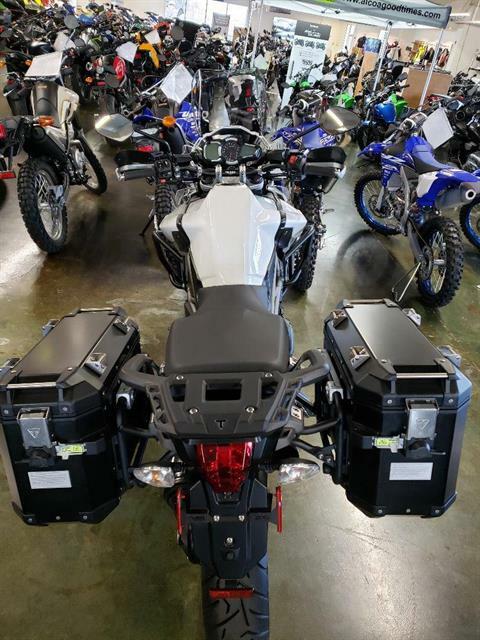 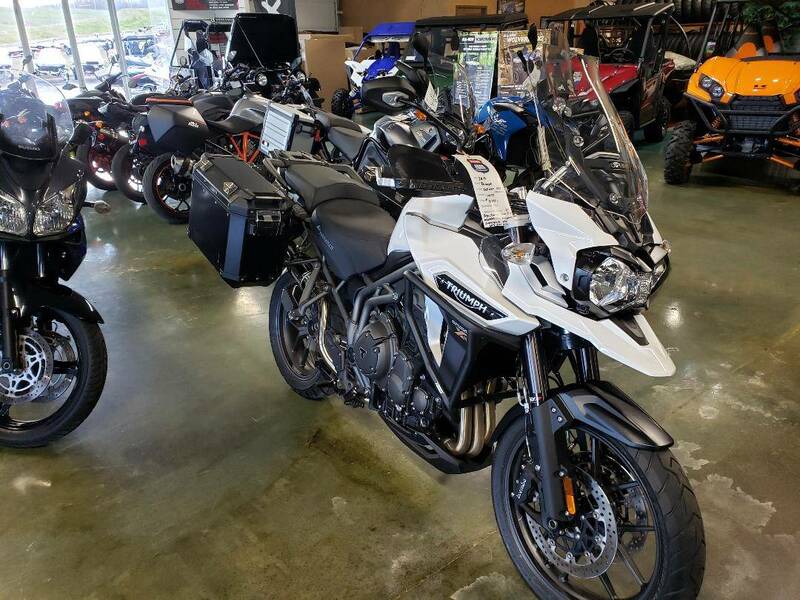 With an electronically adjustable screen, hand guards, heated grips and cruise control as standard the Tiger Explorer XRx gives you more of what you want from an adventure bike. TRIPLE ENGINE: At the heart of the Explorer is a unique 12 valve, 1215cc in-line three cylinder unit that generates incredible wall of linear torque 123NM at 6200 rpm and in fact 139ps at 9300 rpm of power from the largest capacity engine in the segment. To make the best use of its power, the new Tiger Explorer makes use of a hydraulic torque assist clutch to reduce lever effort and long-time rider fatigue. 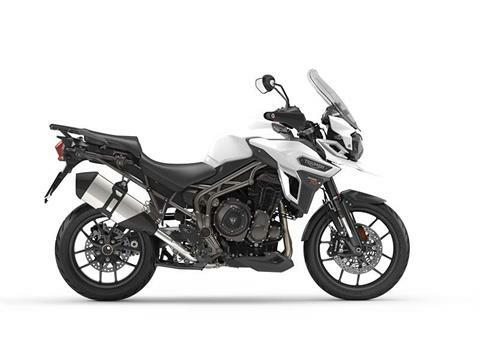 All New Tiger Explorer models feature a 6 speed gearbox in which the top gear is set high to make cruising long distances both easy and fuel efficient. 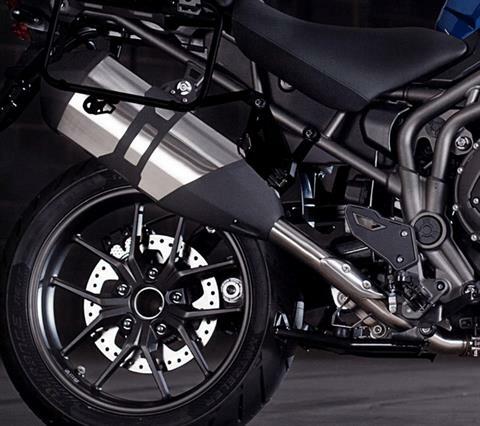 Power is transmitted to the rear wheel through a low-maintenance final shaft drive. EXHAUST: The new Tiger Explorer also features a new exhaust system that not only helps with the engine performance and achieving compliance with the Euro 4 emissions standard, but also gives the family a distinctive, resonant exhaust note unique to a Triumph triple engine. 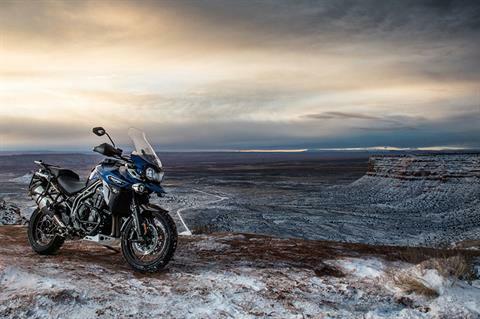 CHASSIS: The chassis in the new Tiger Explorer has been designed to add a new level of dynamism to adventure riding. 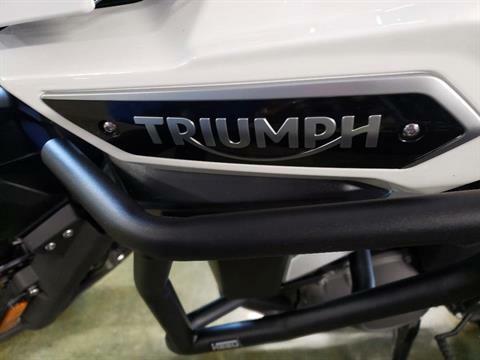 The addition of market leading adjustable WP suspension provides an enviable balance of comfort and control on the entry level models which is further enhanced by the inclusion of the all new Triumph Semi- Active Suspension system TSAS on the XRx, XRt, XCx, XCa. The inclusion of the technologically advanced, radially mounted Brembo monobloc calipers, is a further demonstration of our focus on agility, control and performance in every aspect of the chassis, suspension and braking systems. 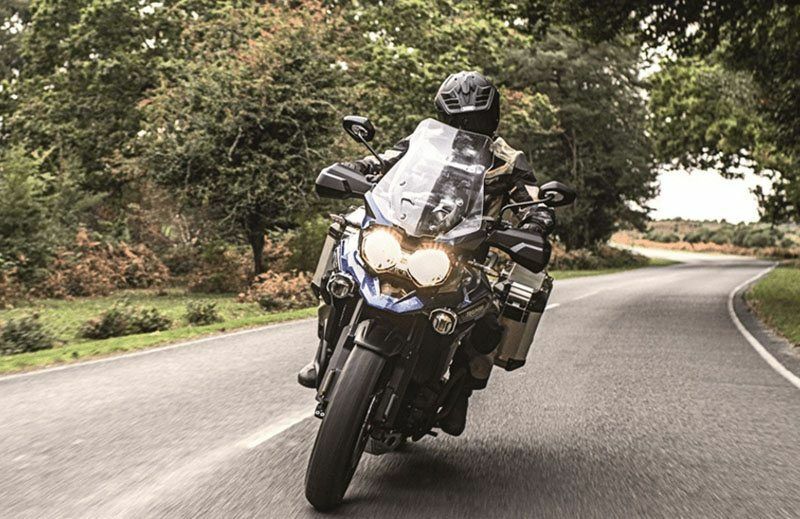 TECHNOLOGY: The new Tiger Explorer family makes full use of Triumph’s impressive Rider Mode technology to offer a choice of up to five Rider Modes, four which are pre-set and one which can be programmed by the rider – which alters the configuration of the bike to suit riding style, road and weather conditions. 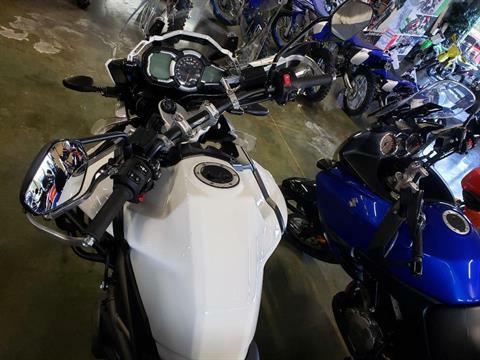 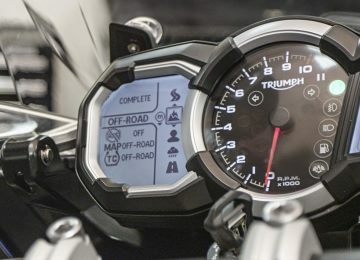 Each Rider Mode changes the engine map, the levels of ABS and Traction Control, and where fitted, the damping set-up of the TSAS system and power. 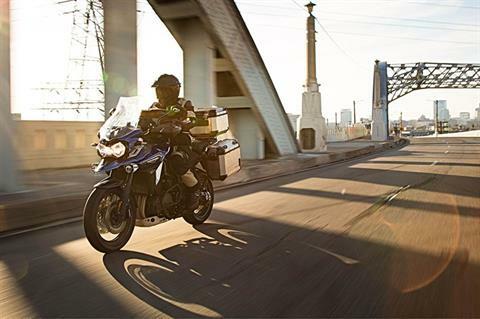 ROAD: Maximizes comfort and riding pleasure, particularly over long distances. 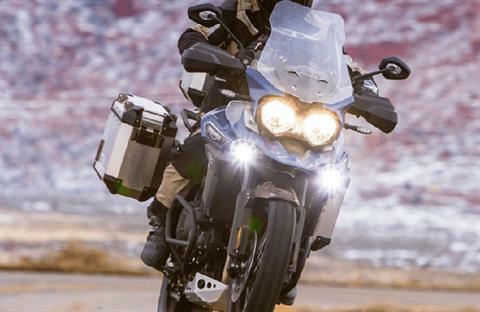 The ABS and Traction Control settings ensure great stability and optimise braking on paved surfaces. 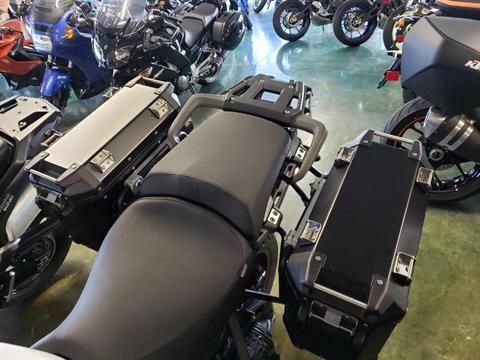 The engine map is set to make the most of the smooth delivery of power over asphalt or similar surfaces. 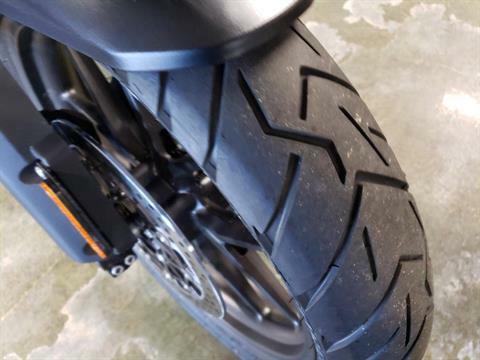 The TSAS (if fitted) will provide the optimal setting for road use. 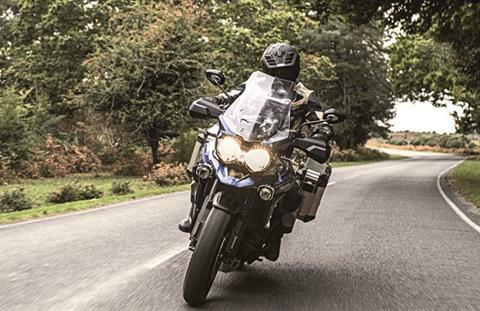 RAIN: Specifically developed for use over wet and slippery surfaces, the engine map reduces power, the Traction Control setting minimises rear wheel slip for enhanced control and the ABS setting prevents lock-up, avoiding uncontrolled skids. 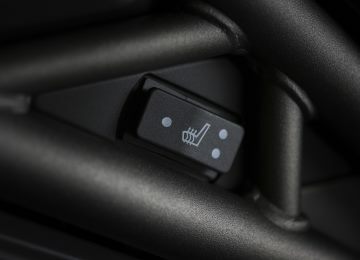 The TSAS (if fitted) features a soft set-up to improve grip. 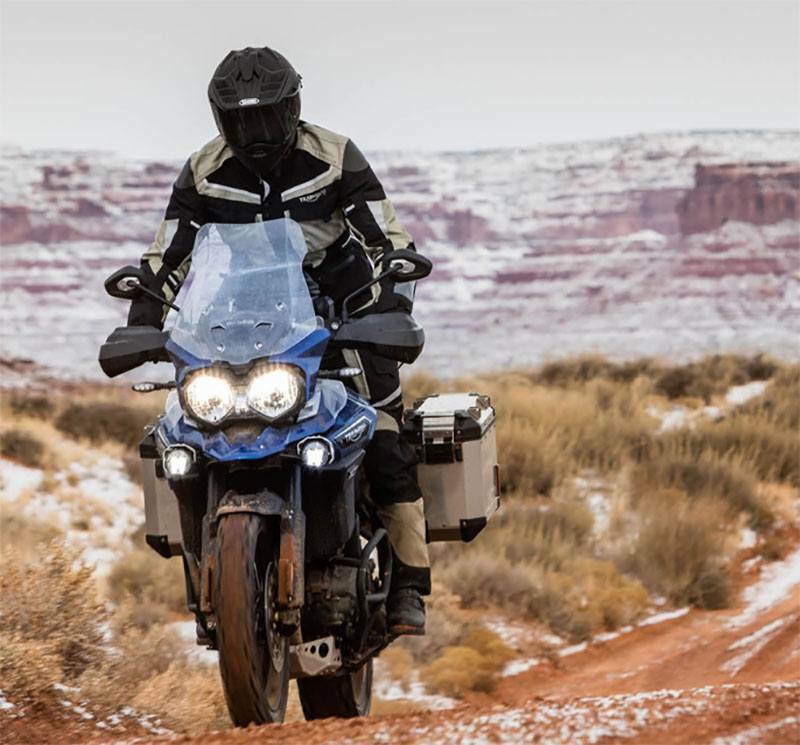 OFF-ROAD: Designed to enhance the ride and pleasure of covering broken ground, the Traction Control and ABS settings are adjusted for optimised off road performance. The TSAS system has been specifically calibrated for this mode, optimising the damping response for enhanced control in off-road conditions. BODYWORK: Contemporary crisp lines, technically crafted details and distinctive styling give the new Tiger Explorer a tough, assertive and commanding stance. 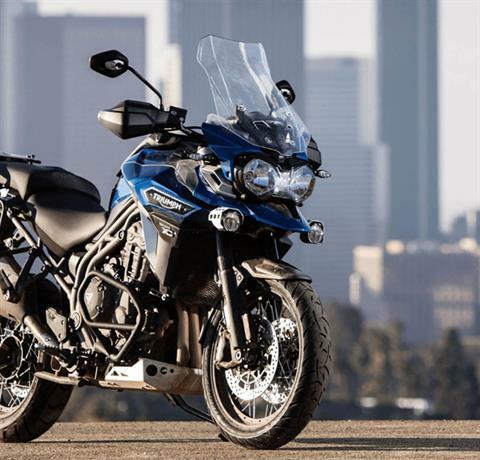 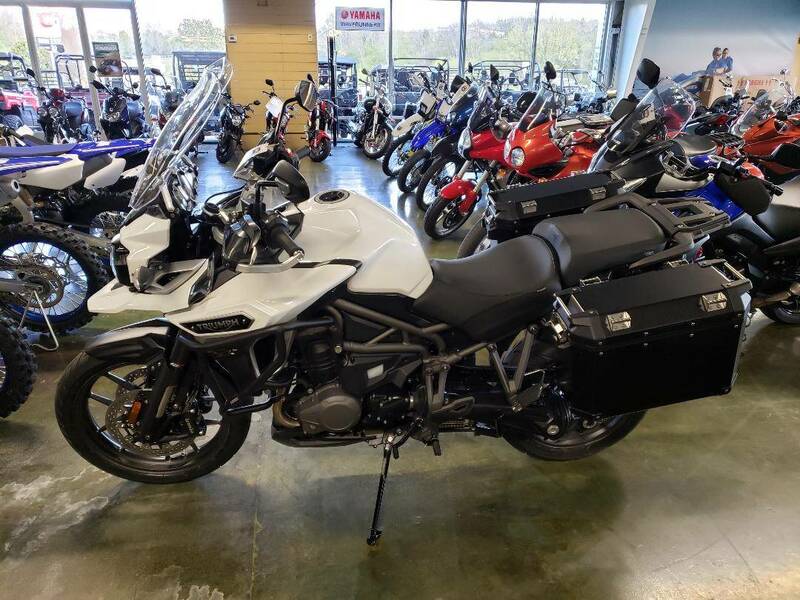 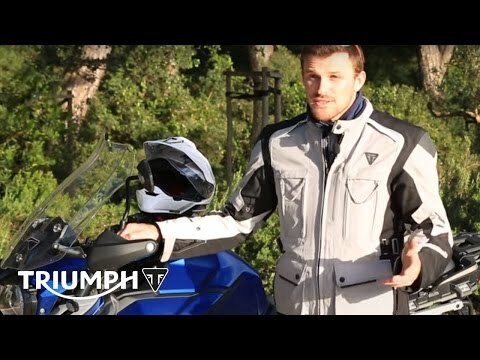 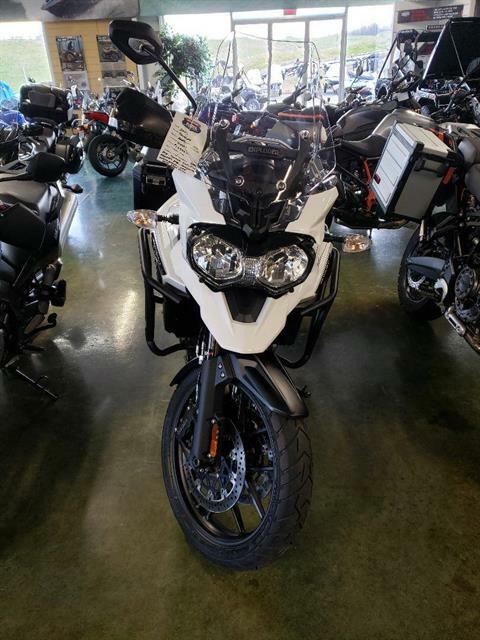 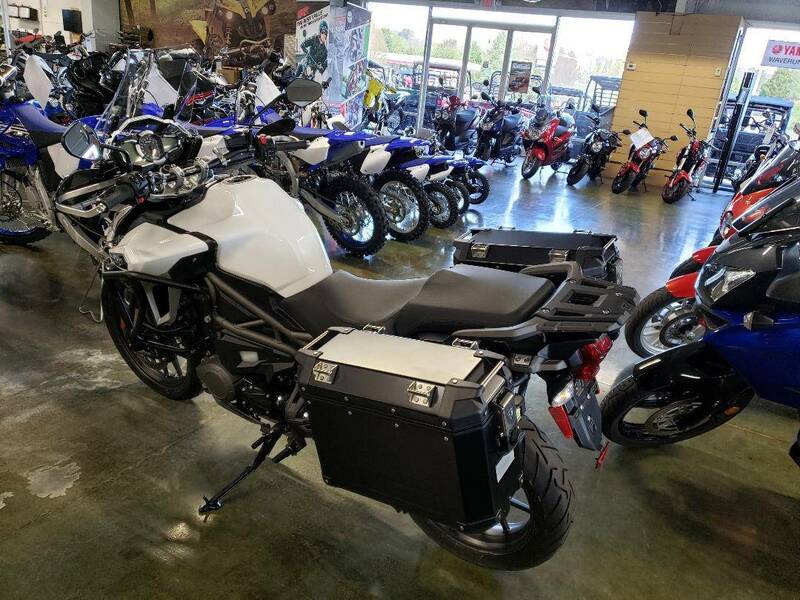 It displays a modern beauty and proportioned muscularity that portrays the confidence and capability you would expect from Triumph. 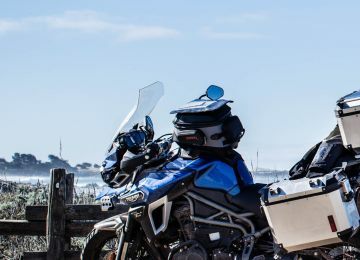 COCKPIT: The cockpit has been developed with one thing in mind, the rider. 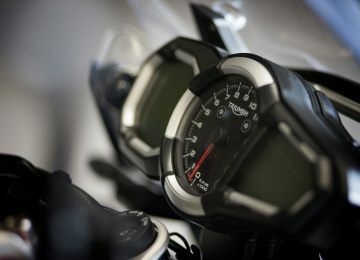 Refined ergonomics, all new switch gear and the inclusion of the latest LCD display ensures ease of use even at speed. 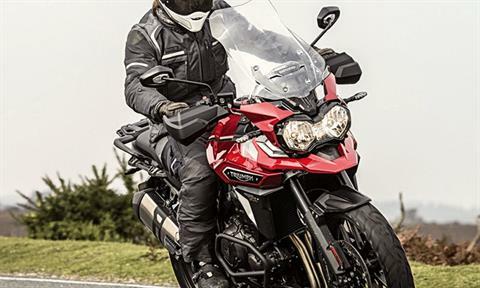 ELECTRICALLY ADJUSTABLE SCREEN: The new Tiger Explorer sets a new level of rider focus in the segment. All models feature a first-in-class electrically adjustable screen that allows the rider to constantly tailor aero-protection and comfort whilst riding. 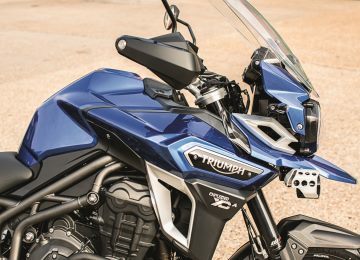 COMFORT: The seating, foot peg and bar position has been developed to ensure maximum rider comfort, whether sitting down putting in the miles, or standing up taking off-road in their stride.